The theme over at Less is More this week is "Flowers" so I took the opportunity to practice watercolour painting again. I've also belatedly realised that I didn't enter this into this week's "Flower" challenge over at CASology as I'd intended to. 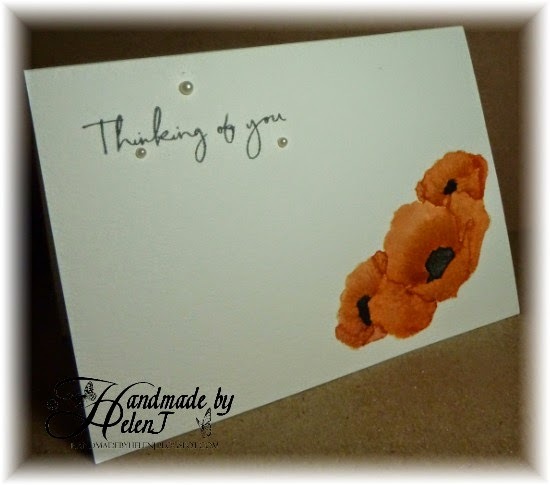 The poppy stamps are by Inkylicious, one of my favourite stamp companies. I stamped & masked the images in Antique Linen Distress Ink. Then I smooched Adirondack Terracotta ink onto an acrylic block, mixing it with water then using that to paint the main image. The black is Cosmic Shimmer Iridescent Watercolour paint. The greeting is a Lucy Cromwell for Papermania stamp, stamped in Hero Arts Charcoal ink. Although the card looked too plain without any embellishments I tried to keep them to a minimum, just using a few pearls to finish it off. that's a beautiful card Helen, great paint job. Your card is delightful, your colouring is A* class and perfectly LIM card. This is fabulous,,, the poppies look wonderful! 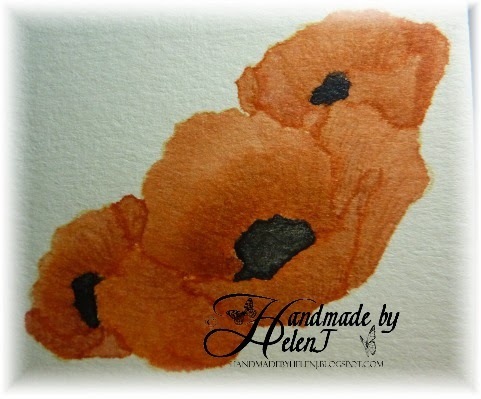 Wow, this poppies are absolutely amazing!!! Gorgeous, I must say! What a lovely clean and simple card...just gorgeous! Thanks for joining us at CASology! This is just lovely--your water coloring is really pretty. 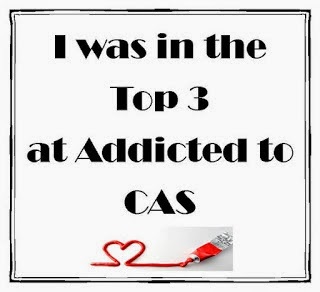 Thank you so much for playing along at CASology this week. Lovely watercolouring. Thank you so much for sharing with us at CASology!